We stock kids bathrobes all year round and have them delivered using our next day delivery service. Since we are a wholesale children bathrobes supplier that means the more you buy the more you save. The delivery remain the same - if you buy 30 bathrobes or less the delivery charge is still the same (which is a flat £6). 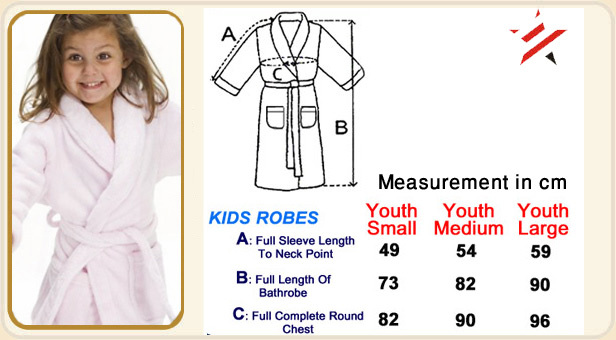 If you plan to buy in bulk kids bathrobes then contact us for a better price on the below contact number.